Q. Why are some Irish Number Plate prices subject to full VAT and others only have part VAT? A. If the Irish Number Plate is owned by Speedyreg, or from a VAT registered supplier, then full VAT is applicable and must be added. However registrations that are being sold on a commission sale basis are only subject to VAT on a percentage of the price. Q. How can I pay for my new Irish Number Plate? Q. What happens to my part/full payment if I change my mind before the transfer is lodged or after it has been lodged and no longer want the registration I have reserved? A. Your part payment is forfeited. We do not offer any refunds if you change your mind. Q. 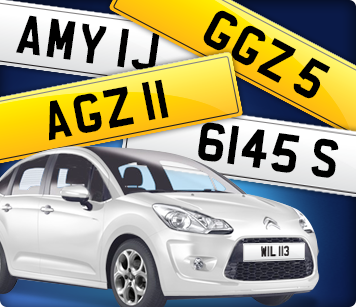 Do Speedyreg provide the physical number plates for my vehicle? A. Yes we can supply a set of physical number plates for your vehicle at a cost of £20 plus VAT per pair. Q. What will happen to my current DVLA car registration number? A. The DVLA will reclaim your registration back once you transfer your new Irish Number plate onto your vehicle. However you can keep your current registration, it will cost you £80 to retain on a Retention Certificate. Q. What does it mean if my current V5C Registration Certificate states that the registration is non-transferable? A. There is no problem transferring an Irish Number Plate onto your vehicle. However you will not be able to transfer or retain the current registration number. Q. How long will I have to wait before my new Irish Number Plate will be on my vehicle? A. Transfers are currently taking 5 working days for completion. Q. How can I find out about the progress of my Irish number plate transfer? A. 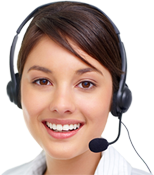 You can telephone us on 02866 387124 for an instant progress on your new registration. Q. What do DVLA and DOT stand for? Q. Will there be any age restrictions for transferring Irish Number Plates on my vehicle? A. No there are no age restrictions for transferring Irish Number plates onto your vehicle, as they are dateless registrations and therefore can be transferred onto any age of vehicle. Q. What happens if I need to re-tax my vehicle during the transfer of my Irish Number Plate? Insurance Certificate valid for at least 6 weeks. Q. If I have a “Q” registration on my vehicle will I be able to transfer an Irish Number plate onto my vehicle? A. Unfortunately you will not be able to transfer an Irish Number Plate onto your vehicle. Q. Can I transfer a registration onto my vehicle and at the same time, transfer my current number to another vehicle? An extra £80 cheque payable to DOT. Q. Can I transfer an Irish Number Plate onto my motorcycle? A. Yes. There is no restriction in transferring an Irish Number Plate onto your motorcycle provided it is currently MOT'd and Taxed.